Our business is to provide your group with with artistic, exotic, luxury lodging. Delicious, home cooked meals. Attentive concierge and travel coordination services. We maximize the vacation in your vacation and we are good at it! Upon your arrival you will be treated to one of the most breathtaking panoramic views of Lake Arenal and Arenal Volcano in Costa Rica! Accommodations at "The Sunset" are designed for maximum comfort. In room baths, air conditioning, queen size beds, plus a full kitchen, dining area, and living room. All yours to enjoy while vacationing in Costa Rica. 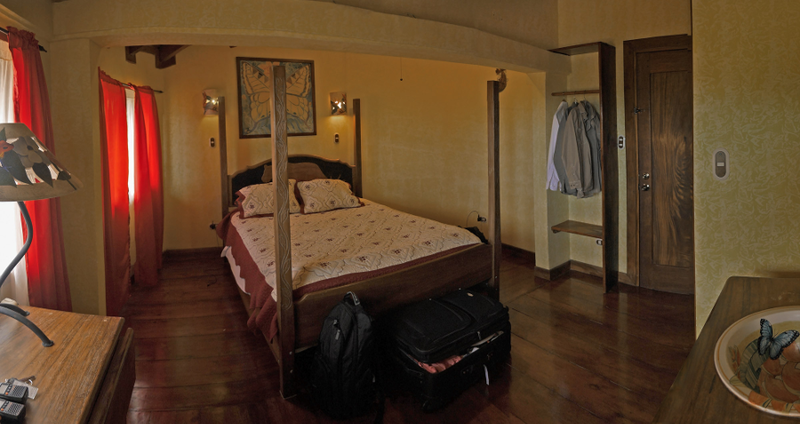 "The Sunset" Luxury Guesthouse has six beautifully appointed bedrooms, 7 queen beds and one twin, all bedrooms are air conditioned with bathrooms en suite, featuring Costa Rican art throughout. A gourmet kitchen, large shared library/TV room, dining hall, spacious deck area and free laundry. 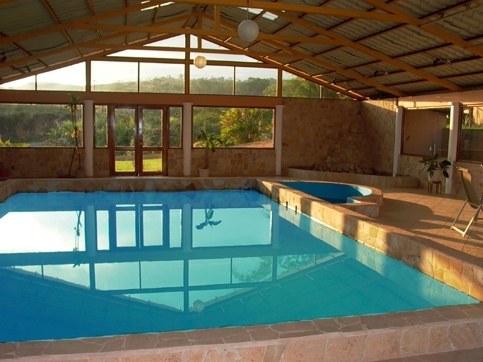 Guests enjoy a large, indoor, swimming pool with attached jacuzzi and gymnasium. 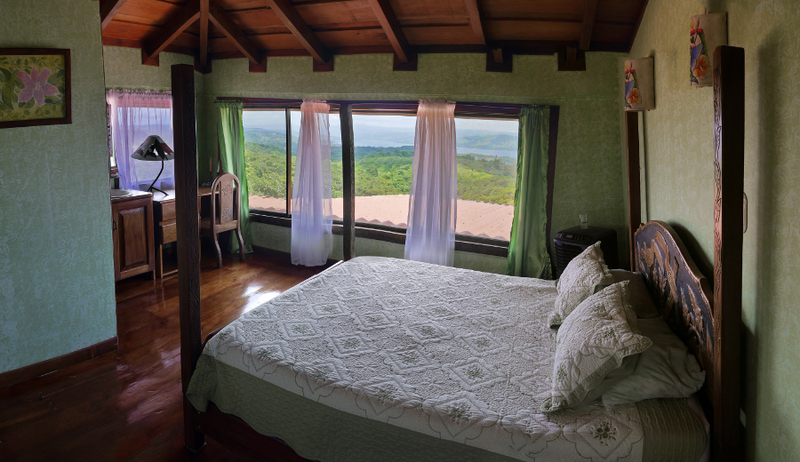 Fantastic panoramic views of Lake Arenal and Arenal Volcano. There is an experienced and dedicated staff ready to assist in everything from where to go and what to do, to gourmet meals, group events, tours and therapeutic massage. All of this with some of Costa Rica’s most glorious national park treasures in your own backyard! When you stay at "The Sunset" you are literally ten minutes to one hour from almost all of Costa Rica's adventures' including breathtaking class four whitewater, rappelling down lush waterfall filled rain forest canyons, canopy tours, horseback riding, kayaking, wakeboarding, ATV tours and natural jungle trails just to name a few. There is ample parking among the beautifully landscaped luxury rental home grounds. As your hosts in our separate cottage on the Lake Arenal, Costa Rica property, we are happy to act as concierge to assist in activity planning. There is an experienced and dedicated staff ready to assist in everything from where to go and what to do, to gourmet meals and therapeutic massage. All activities can be tailored to your pace and the kind of vacation you want to have. Upon your return from a fantastic day of adventure enjoy a delicious home cooked meal or dine in one of several great nearby restaurants. Be our guest and experience the Costa Rica you've been dreaming about.